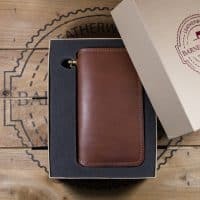 We did a lot of research prior to designing our Roadster, as our goal was to produce a long wallet, which was equally substantial, stylish and practical. 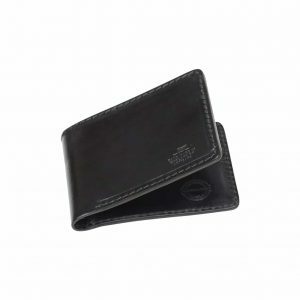 It has a slightly slimmer profile at 100mm wide (when closed), to make sure it sits comfortably in the rear pocket of most denims when worn with the matching hand braided wallet tether. 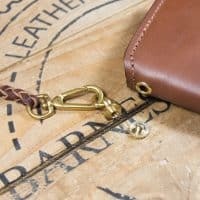 The brass tether ring can also be removed to allow the wallet to sit inside a jacket pocket, if preferred. 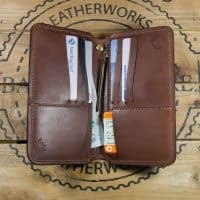 Each wallet is hand crafted from Baker’s Oak Bark leather, and will develop a stunning patina, which only gets better with age. 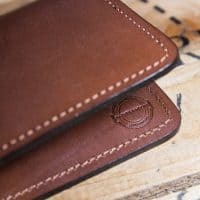 Each piece takes 12 months to produce and bears its own unique markings and shade variance, so no two wallets will be the same! 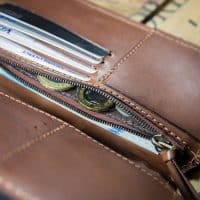 Storage is important in a wallet, so we’ve included 8 credit card pockets, 3 full length note pockets and also two ‘vertical’ card pockets for driving licence etc. 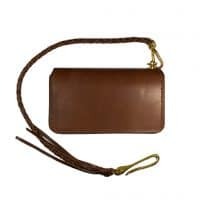 There is also a zipped compartment for change etc secured with a high quality ‘Riri’ zipper. Dimensions of the Roadster are: 180mm tall x 100mm wide (closed) and 180mm tall x 210mm wide (open). 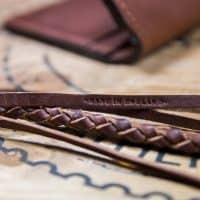 Each wallet comes complete with a hand braided matching tether featuring high quality, solid brass hardware, and also a complimentary 5ml bottle of neatstfoot oil for conditioning the leather. Presented in Barnes and Moore gift box, made from recycled card. 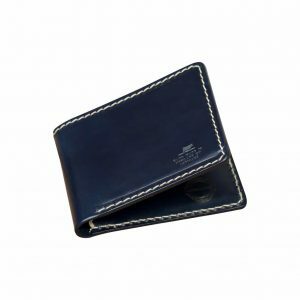 Constructed from a very special English Leather, supplied by England’s last remaining traditional Oak Bark Tannery. 9-10oz finest English full grain oak bark leather. 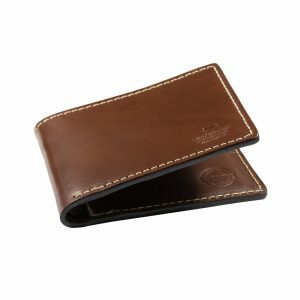 This leather undergoes a labour intensive, traditional 12 month tanning process to produce a truly outstanding leather. This results in a very strong, yet lightweight leather. 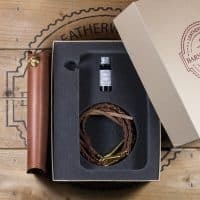 Oak Bark leather is finished by hand with a unique blend of oils and greases that allow the true natural characteristics and colour of the leather to be highlighted. 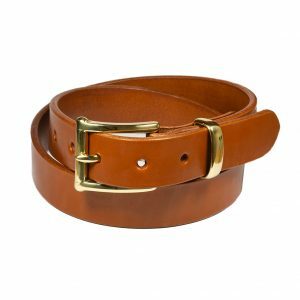 As a result, this leather will show some variation in colour, which is naturally occurring and adds to the unique beauty of each belt. 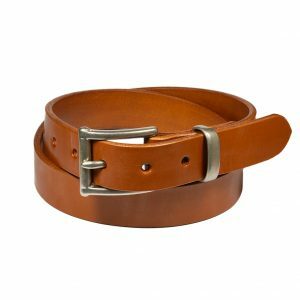 The surface also has a ‘full grain’ finish and, as a result some natural creasing and marking of the hide may be visible on the surface of your belt, which is a natural characteristic of the leather. The journey starts with English oak bark, ground down by a water wheel, which is fed by a local river at the tannery. This is then soaked in water to draw out the natural tannin which forms the base of the tanning liquor. Hides are then soaked in pits for 2-3 weeks to aid removal of the hair, this part of the process ensures the leather retains its fibre strength, and has been done this way for centuries. They are then cleaned by hand and washed before being suspended on wooden ‘sticks’ and suspended in the tanning pits, in the oak bark liquor for 9 months. The hides are then layered in the pits with oak bark chippings inbetween them for a further 3 months and then shaved to a level thickness. Fish oil is applied and the hides are dipped in greases, and then ‘set’ by hand. 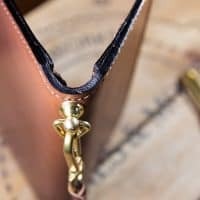 The setting process is highly skilled and involves using traditional tools to push the leather grain out to achieve a flat, workable surface. 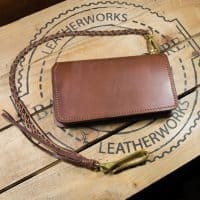 The final stage is staining the leather to the required colour by hand, and then conditioning with dubbin wax to produce a stunning quality leather. 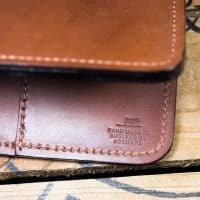 Your Barnes & Moore wallet is made by hand, however we will endeavour to ship it within 5 working days. We’re proud to offer free shipping to the UK and most major European destinations. Shipping to the rest of the world is £10.00 flat rate. Please use our shipping calculator to see if your destination qualifies for free shipping.